Crews are performing a technical rescue in White Marsh. 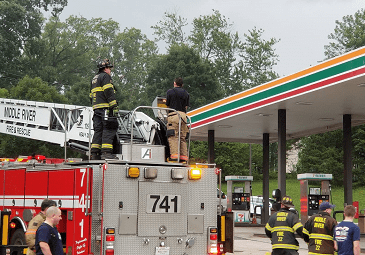 At about 5 p.m. on Tuesday, a boom truck collapsed at the 7-Eleven located in the 11600-block of Philadelphia Road (21162). One person became trapped on the canopy. The worker was successfully rescued.